Semi-arid regions are undergoing complex shifts in land-vegetation-atmosphere interactions. These shifts impact on ecosystem services, with major corresponding implications for local communities. Yet, socially-just access to key ecosystem services is an integral part of climate change adaptation, across rural and urban settings. Enhancing human wellbeing and climate resilience in the face of these changes requires governance at multiple scales to take into account the synergies and trade-offs associated with the ecosystem services that are of value to different social groups. Including affected populations more concretely in management decisions will help to identify the main trade-offs, and support more effective design and implementation of interventions. Decision makers should also capacitate customary, traditional, and community-based natural-resource managers by devolving decision-making rights to them, and by facilitating and promoting equitable and adaptive natural-resource management. Across the world, ecosystems services – which can be product-based (e.g., food, water), process-related (e.g., climate regulation, hydrology), cultural (e.g., spiritual enrichment, cognitive development) and ecosystem-supporting (e.g., soil formation, nutrient cycling) – offer direct and indirect contributions to human wellbeing. In the semi-arid regions of Africa and Asia, people are particularly dependent on ecosystem services given that communities here are characteristically poor with limited access to public services and livelihood opportunities. By harnessing ecosystem services, such communities have evolved lifestyles and traditions that enable their survival even when conditions are harsh. Recently, however, the integrity of ecosystems in these areas has been compromised by rapid growth in the human population, inadequate or unsustainable governance of resources, and the increasing intensity and severity of climate extremes. These threats have led to reduced crop yields, diminished availability of fodder and non-timber forest produce, reduced surface flows in rivers, and depleted groundwater. As changes in regional climates are expected to increase the frequency and severity of extreme weather (rain, droughts and heatwaves), these impacts are expected to intensify. ASSAR’s primary aim was to understand the factors that enhance or degrade ecosystem services, and the ways in which these services can be equitably managed and governed to improve wellbeing under climate change. In a novel south-south approach, our research saw a non-hierarchical collaboration of 16 researchers from seven countries across East, southern and West Africa, and three Indian states (Tamil Nadu, Karnataka and Maharashtra), and we worked to understand the complex changes and patterns in semi-arid vegetation and socio-ecological systems through space and time. We mapped ecosystem changes using a cross-regional coarse-scale study that relied on AVHRR GIMMS NDVI3g and CRU climate data to capture global and regional trends, and dynamics in vegetation response to climate and non-climatic divers – including evidence for the CO2 fertilisation effects. We used finer-scale MODIS data (250 m) to capture recent changes that could be interpreted effectively by combining with household and village-level data. At the finest spatial scale we relied on Landsat (30 m) to map changes in land use and land cover. We also achieved a common understanding that greening and browning trends have a complex linkage with changes in key ecosystem services. We supplemented our work with insights from local communities drawn from participatory processes and focus group discussions. What are the key ecosystem services, how are they distributed and who benefits from them? How is the use of ecosystem services governed and what are the consequences of this governance for different social groups and the ecosystem services themselves? What changes in quantity, quality and distribution of ecosystem services have been seen in the last few decades and are expected in the medium- and long-term, and what drives these changes at the study sites? What strategies and governance systems could enable the equitable and sustainable use of ecosystem services and enhance human wellbeing under climate change? We found that global, regional and local drivers have changed vegetation in semi-arid ecosystems, with implications for the spatial and temporal distribution of ecosystem services. In the next section, we detail some of these changes, and their impacts, from across our wide study area. Since 1960, all semi-arid regions have showed temperature increases ranging from 0.15°C to 0.24°C per decade, similar to global averages, with semi-arid regions in West and southern Africa warming faster than surrounding areas, and vice versa for India and East Africa. There are, however, locations of much faster warming – “hotspots within hotspots” – in all semi-arid regions. Rainfall shows decreasing trends in the African semi-arid regions, similar in direction and magnitude to surrounding areas, but the trends are not spatially statistically significant. Over India, semi-arid regional rainfall exhibits an increasing trend, in contrast to drying in the surrounding areas. There is a decoupling between the ways that temperature and precipitation covary between semi-arid regions and surrounding regions in recent decades in all four regions, especially in India, East Africa and southern Africa. This suggests that the four semi-arid regions may be critical areas of change for precipitation-evaporation-temperature interactions. Natural and human-dominated semi-arid ecosystems show clear signals of CO2 fertilisation effects across protected areas and their buffers in India and Africa. Although the amplitude of the annual seasonal cycle is increasing over time in all regions, there are clear differences in the response of protected areas and their agro-pastoral buffers in India and the three African regions. In India, the protected areas have a smaller amplitude of annual seasonal change compared to the buffer, which we attribute to their relatively greater moisture-storage regimes; these trends are reversed in the African semi-arid regions where protected areas and buffer zones respond similarly. Including affected populations more concretely in decisions about interventions for natural-resource challenges will help to identify the main trade-offs, support more effective design and implementation of interventions, avoid unintended consequences – especially for the most vulnerable – and help to ensure that the needs of those typically excluded from decision making are heard and met. Preserving functioning ecosystem services within the urban fabric is crucial for climate resilience planning. 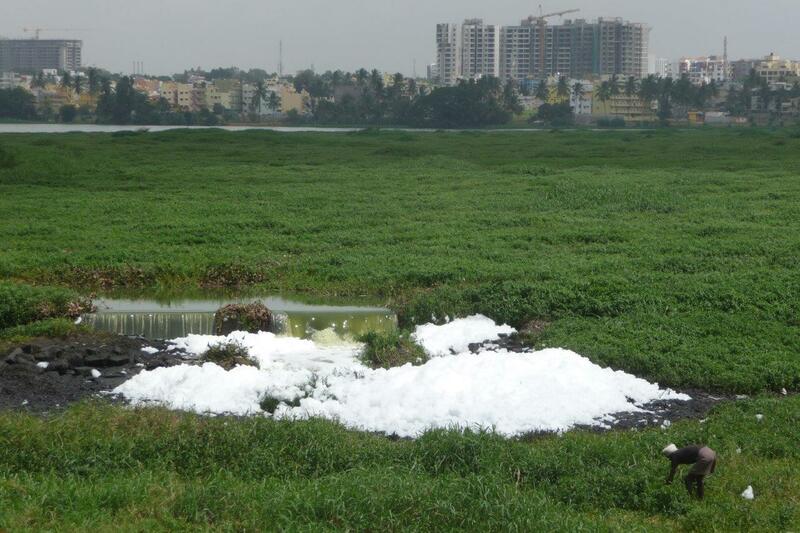 However in Bengaluru, these ecosystem services are being challenged by unplanned, haphazard urbanisation. Promoting ecosystem-service-based stormwater management practices, and exploring alternative strategies that can enable stormwater attenuation or retention are necessary. In Maharashtra, increased access to groundwater has caused the area of land used for agriculture and horticulture to mushroom over the past 25 years. A major part of the Sangamner transect is now classified as groundwater ‘overexploited.’ Global warming of 1.5°C and higher is expected to add further challenges to existing groundwater vulnerability here, and exacerbate the impacts of recurrent droughts and heat stress. In the Moyar Bhavani, Invasive Alien Species are negatively impacting native biodiversity and ecosystem services. The ability of local forest-dependent communities to develop management practices and adaptation strategies to the emerging novel ecosystems is constrained by lack of land tenure due to the delayed implementation of the Forest Rights Act (2006) in Tamil Nadu, and confounded by the protected area status of a large part of the landscape. Meanwhile, the capacity of the Forest Department, NGOs and local communities in understanding the temporal and spatial dynamics, and magnitude of the problem, is constrained. Potential short- and long-term management strategies remain reactive, and are uninformed by scientific studies. Large parts of Tamil Nadu receive the bulk of their annual rainfall during the northeast monsoon (Oct-Dec), but our analysis reveals a shift in the monsoon, with less rain falling during the winter months. The winter rains are crucial for agriculture, and this reduction in moisture, combined with warming, is likely to pose a challenge to the resilience of these socio-ecological systems. These shifts in rainfall regimes are, however, being currently buffered by increasing dependence on groundwater, which is driving greening in cultivated areas. Farmers are reducing risks by opting for non-agrarian livelihoods, and increasing – and likely unsustainable – dependence on groundwater. Future climate is likely to reduce moisture availability and elevate temperature, but SWAT (Soil and Water Assessment Tool) hydrological models are not adequate to capture changes in evapotranspiration under different land-cover change scenarios. Provisioning ecosystem services are fundamental to the livelihoods and wellbeing of communities in the Bobirwa sub-district of Botswana. The enforcement of restrictions on harvesting, monitoring of government programmes to improve agricultural productivity, and the enhancement of alternative livelihood options could all help to reduce the pressure and overreliance on vulnerable ecosystem services. Rising temperatures, unpredictable rainfall, and increased pressures from growing populations are shaping a complex landscape around water resources, especially groundwater and water from the Black Volta River which forms the border between Ghana and Burkina Faso. Supporting greater technical capacities and more integrated management of these resources will be essential for lessening negative impacts of climate change in the future, and for reducing conflicts among users. Climatic changes are not the only stressors that factor into adaptation needs in Koutiala, Mali. Urbanisation, changing social structures, and governance of resources are also impacting the abilities of different people to adapt. Moreover, sometimes adaptation strategies can bring about unanticipated non-climatic changes that can create new challenges that people must also cope with. Abass, R., Mensah, A. and Fosu-Mensah, B. 2018. The role of formal and informal institutions in smallholder agricultural adaptation: The case of Lawra and Nandom Districts, Ghana. West African Journal on Applied Ecology, 26: 56-72. Link to article. Adiku, P. and Khan, A. 2018. Migration in climate change hotspots: Opportunities and challenges for adaptation. [Information brief]. Collaborative Adaptation Research Initiative in Africa and Asia (CARIAA). Link. ASSAR. 2016. Key findings from ASSAR’s regional diagnostic study & initial research: Sangamner sub-region, Maharashtra. [Information brief]. Adaptation at Scale in Semi-Arid Regions (ASSAR). Link. Bendapudi, Bendapudi, R., Yadav, A., Chemburkar, S., D’Souza, M. and Thomas, R. In prep. 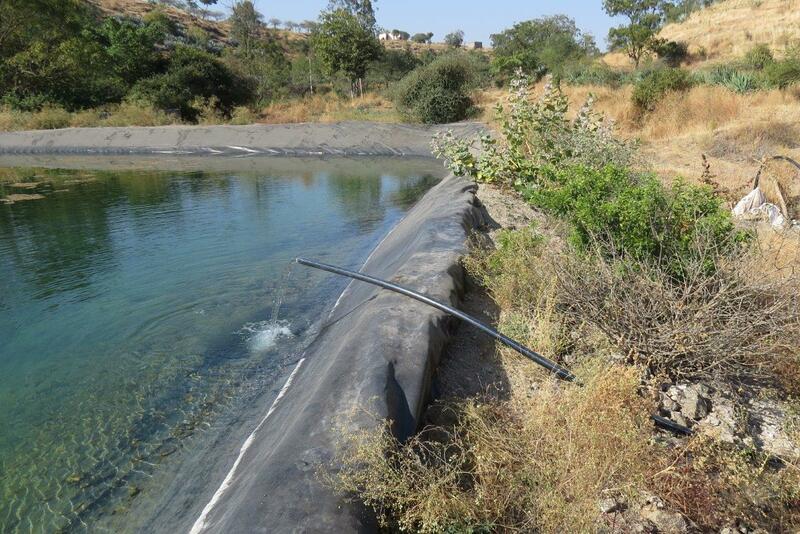 Adaptation or maladaptation: Case of farm pondberthes converted into storage tanks in Maharashtra: Implications for groundwater governance. Link to poster. Duraisamy, V., Bendapudi, R., and Jadhav, A. 2018. Identifying hotspots in land use land cover change and the drivers in a semi-arid region of India. Environmental Monitoring and Assessment, 190: 535. DOI: 10.1007/s10661-018-6919-5. Link to summary. Kaba-Ayamba, O. In prep. The influence of adaptation intervention from ecosystem services and wellbeing: A comparative study in the Lawra and Nandom districts of Upper West Ghana. PhD thesis. University of Ghana. Kibet, S. and Wasonga, O. In prep. Making Ccommunity wildlife conservancies sustainable. [Information brief]. Mascarenhas, K., et al. In prep. Exploring Urban Flood Mitigation Strategies: A GIS-based study to identify opportunities for Low Impact Development stormwater infrastructure in the Nagavara Catchment, Bengaluru. [Working paper]. 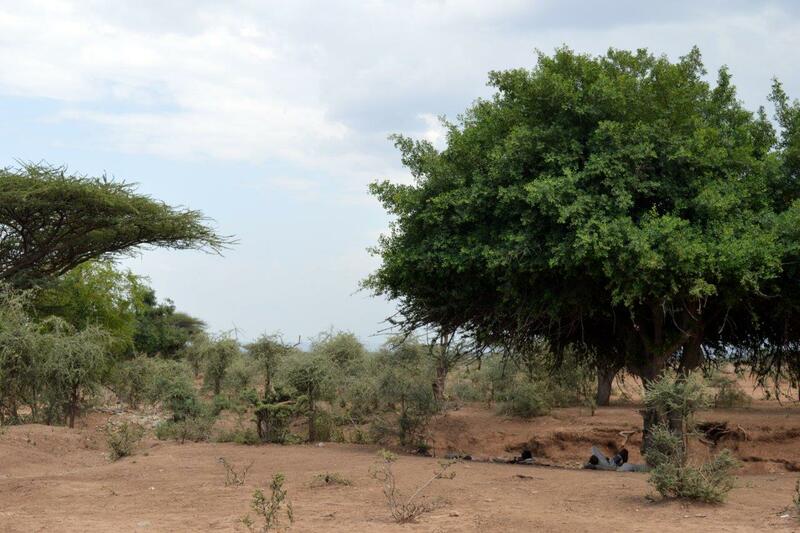 Adaptation at Scale in Semi-Arid Regions (ASSAR). Link. Mascarenhas, K., et al. In prep. Changing Groundwater regimes vis-à- vis occurrence of floods in the YMSK catchment, Bengaluru District. [Journal article and Information brief]. Link. Mugari, E., Masundire, H., Bolaane, M. and New, M. 2018. Perceptions of ecosystem services provision performance in the face of climate change among communities in Bobirwa sub-district, Botswana. International Journal of Climate Change Strategies and Management. DOI: 10.1108/IJCCSM-09-2017-0178. Link to presentation.Link to summary. Poniso, A. L. and Togarepi. In prep. An assessment of impacts of climate variability on key forest ecosystem services and livelihoods of communities in Onesi constituency, Omusati region. [Journal article]. Link. Segnon, A. C., Zougmore, R. B., Achigan-Dako, E. G., Ofori, B. D., Gordon, C. In prep. Harnessing agrobiodiversity for climate change adaptation in semi-arid areas of Mali. Segnon, A. C., et al. In prep. Disentangling climatic and non-climatic drivers of vegetation dynamics in semi-arid areas of Mali. Tebboth, M. G. L., Few, R., Assen, M. and Adnew, M. In prep. 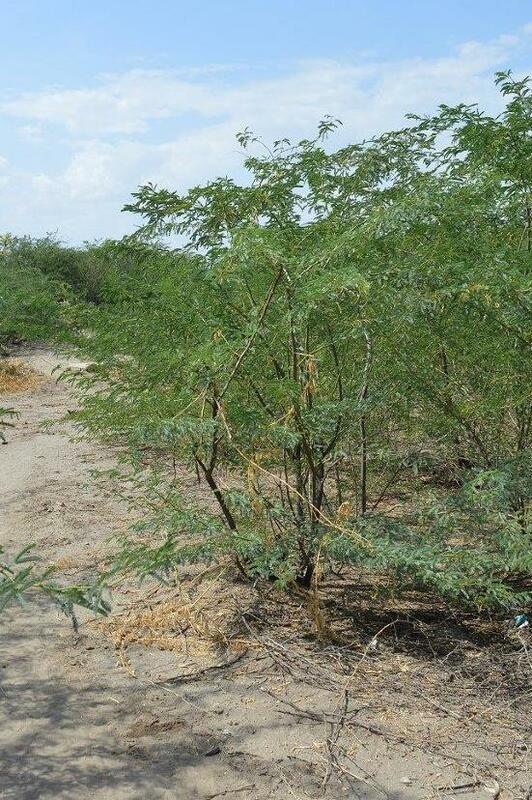 Valuing Prosopis juliflora? 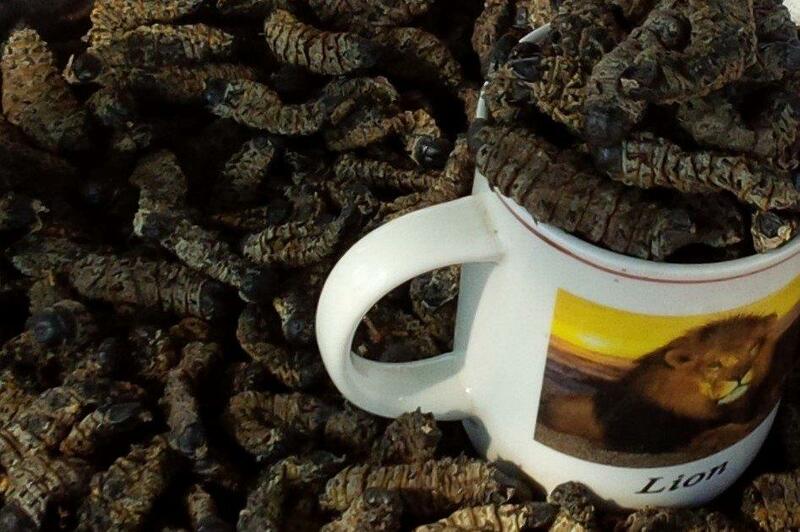 An analysis of an alien invasive species in the drylands of Ethiopia. Thomas, R. and Duraisamy, V. 2017. Vulnerability to groundwater drought in semi-arid areas of western Ahmednagar District, India. [Information brief]. 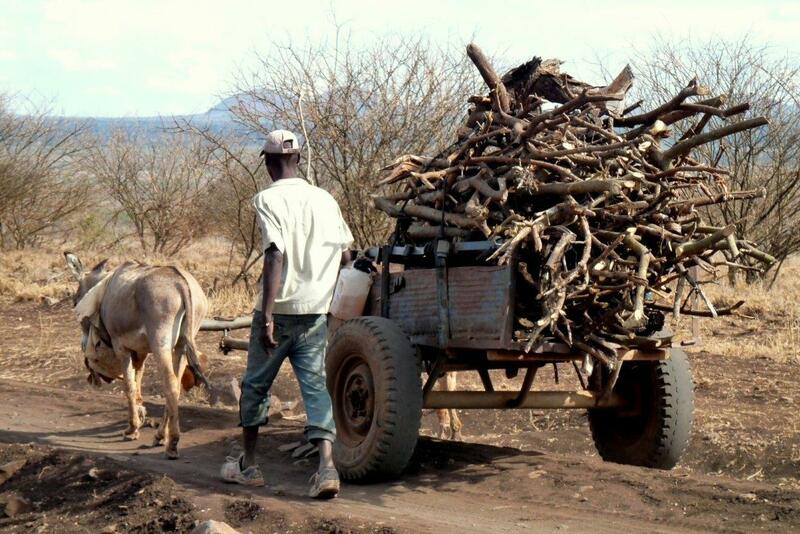 Adaptation at Scale in Semi-Arid Regions (ASSAR). Link to English version. Link to Marathi version. Thomas, R. and Duraisamy, V. 2018. Hydrogeological delineation of groundwater vulnerability to droughts in semi-arid areas of western Ahmednagar district. The Egyptian Journal of Remote Sensing and Space Science, 21(2): 121-137. DOI: 10.1016/j.ejrs.2016.11.008. Link to summary. Link to English information brief. Link to Marathi information brief. Thomas, R. and Mascarenhas, K. In prep. Changing groundwater regimes and geosystem services of Nagawara catchment, Bengaluru district. Zaroug, M., New, M. and Lennard, C. In prep. National climate change at 1.5 and 2.0 degree global warming over Africa.